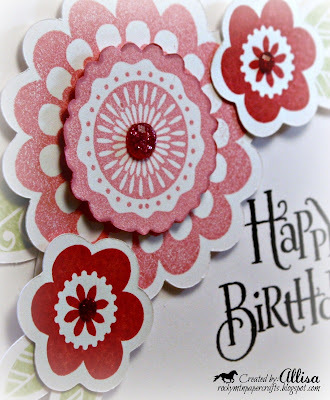 We have a super easy challenge this week at Papercraft Star-Birthdays! It seems you can never have enough birthday cards. In fact, this one went into the mail as soon as I finished it..........and just wait until you see the inside! 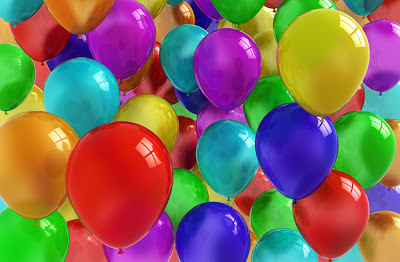 The inspiration photo is use if you choose, as long as your entry has a birthday theme you are good to go! A belated Birthday card! How sad it that....the card maker has to send belated birthday cards....not because she does not have birthday cards.....just because she never mailed the birthday card and the birthday has come and gone! What can I say...I will try better next year! Such a lovely elegant card ... Your stamping is perfect! Beautiful - love the fun colours! Very elegant card, lovely design. Soo pretty. Thank you for entering in Creative Card Crew challenge. I love having that set for that very reason - I'm great at making cards but not as good at getting them in the mail on time! Love your bonus card this week, the colors are so bright and fun! A very lovely looking card. Great colours. Thanks for joining us over at the Crafty Card Makers this time and my blooming challenge. What a gorgeous card! I love the bright, vibrant colours. Wow! Your card is so pretty! I love those flowers! You did a gorgeous job on these challenges!! Beautiful! The colors are great. Thanks for joining us at Sentimental Sundays. Hope to see you again next week. This is beautiful! Love all the bright colors and the fabulous flowers! Hope you are having a wonderful week. Gorgeous! I simply love it, Allisa! Great card love the colours. Thanks for joining us at crafty cardmakers. Wow, you did an amazing job with the cut flowers and all the layering. Beautiful card! And loved the sentiment inside too! Beautiful card! Love the sentiment on the inside. 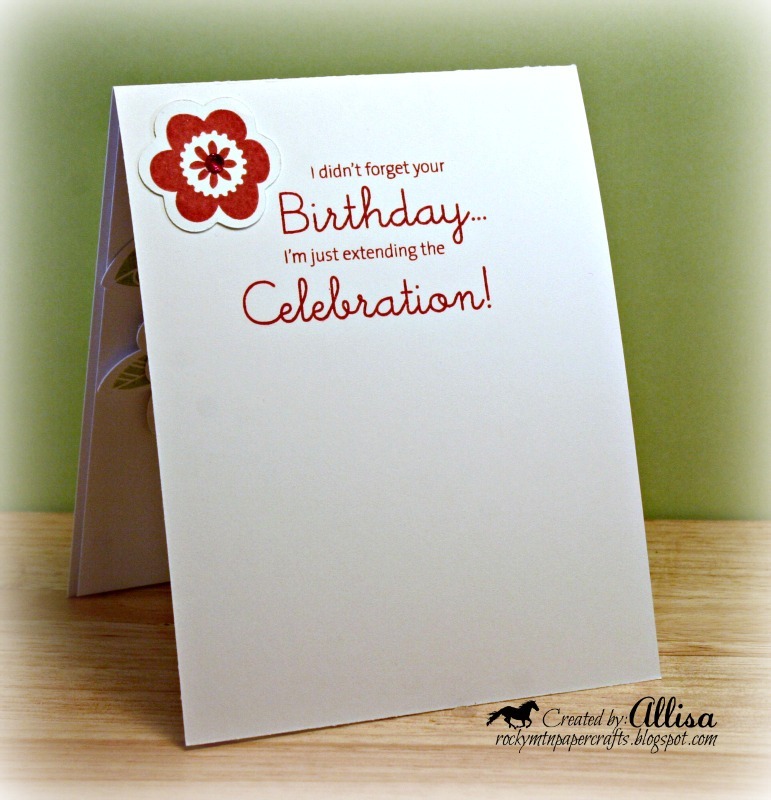 Thanks so much for sharing with us at Creative Card Crew. Hope you have a fabulous day! Fantastic, Allisa! Just fantastic! You took the MUSE card and made it your own. I knew this was yours before I saw the name. Now that's pretty cool, if you ask me. Great card and design, thanks for joining us at Catch the bug. 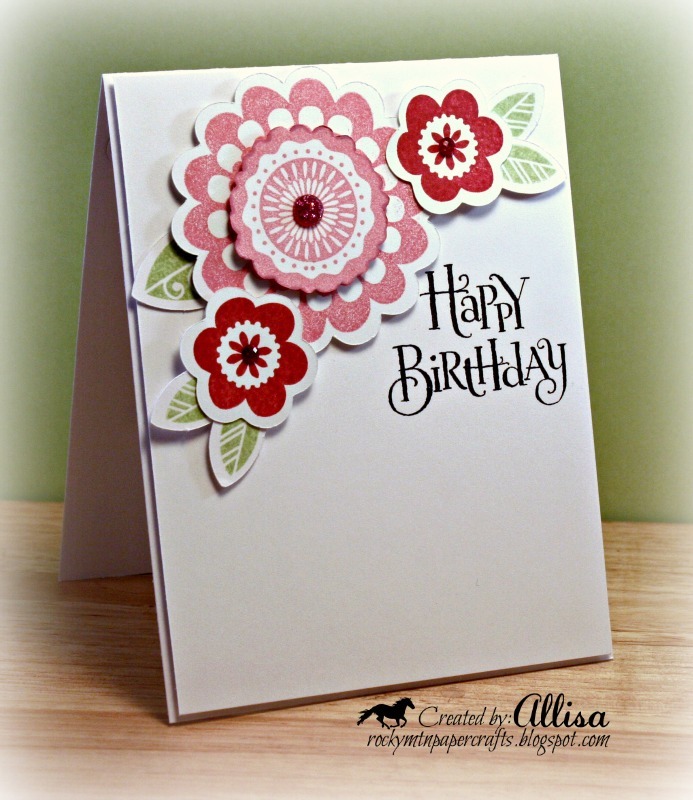 Wonderful CASE of Deanna's card! Your card is so stunning. Love the flowers. lovely card! thanks for playing this weeks challenge at catch the bug! This is a lovely card. Thanks for playing along in the Creative Card Crew Birthday challenge. Cheers FiLoMa. Alisa this is so pretty! Love those flowers! Your card is absolutely perfect for our Color Challenge at Catch The Bug! Good luck and I hope you join us again this week! 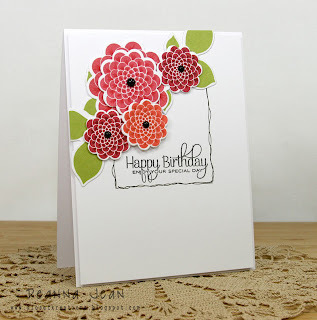 What a gorgeous card - I love all those flowers! Thanks for entering our colour challenge at Bugaboo's Catch the Bug blog! Good luck in the draw. Fab card - love the 3D flowers and the font of the sentiment stamp is great! Fantastic take on the CASE card...love the flowers and think you'll be a WINNER!! Gorgeous card - love that you've done the inside too! I have never been a 'CAS girl' but I really like this one. Thank you for joining us at the Celebrate the Occasion challenge and hope to see you back again. Great card! Thank you for sharing with us at CTO!